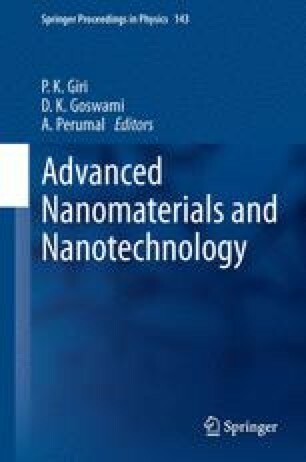 In the present study, a magnetic field-assisted milling process was adopted for the fabrication of SmCo5/Fe nanocomposites using oleic acid (OA) and multi-walled carbon nanotubes (MWNT) as surfactants. The bare SmCo5/Fe powders processed by conventional milling consist of large agglomerates accompanied by amorphization; while both the OA and MWNT-coated SmCo5/Fe powders possess unusual characteristics such as flake-like structures, reduction in grain size and grain orientation. The OA and MWNT-coated SmCo5/Fe powders also displayed high degree of texturing in terms of c-axis alignment of SmCo5-phase. Enhanced coercivity (H c) values of 4.37 and 4.67 kOe were obtained for the OA and MWNT-coated powders, respectively and these values significantly higher than that of the bare powders (1.49 kOe). Upon processing the surfactant-coated powders into polymer nanocomposites, relatively higher H c (12.6 kOe) and M r /M max (0.82) values were achieved for the MWNT-coated SmCo5/Fe nanocomposites as compared to that of the OA-coated counterparts (H c = 10.2 kOe; M r /M max = 0.70). The authors thank the Defence Research and Development Organization (DRDO), Government of India for the financial support to carry out this work. The keen interest shown by the Director, DMRL, in this work is also gratefully acknowledged.